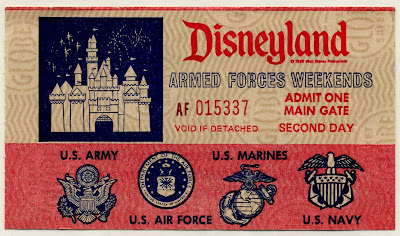 In honor of Veterans Days, please enjoy this re-broadcast from April 2008, "Disneyland and the Armed Services"
Still a great value at $6.50. The only trouble with having unused books is that you can't scan the insides for folks who want to see 'em! Great Collection!!! Thanks for sharing! Nice post, Tim. Thank you. 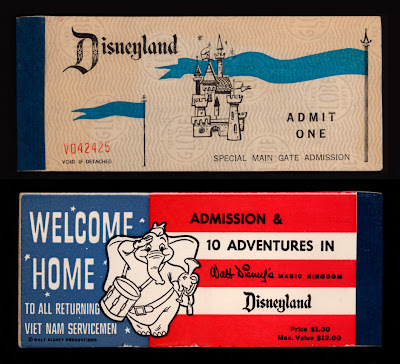 Really like that unused 'Military Weekends' ticket book!